The first thing is to know what to expect before hand. While people think about the dollar dropping to nothing, or an Obama re-election, you need to consider the most pressing signs of a pending martial law. Deaf means that you won’t know what is going on. Loud noises, such as bullhorns shouting orders, diesel engines running, and people yelling at you to go here or there. It also means you won’t be able to receive texts or cell phone service. Making you deaf and dumb is as simple as securing the internet with the Internet Kill Switch. That ends Facebook, Twitter, and Email. You need to buy yourself some time. Not much time, but just enough time. You need to make an alert when you lose power. “I took a small wall wart that is rated at 12 volts and about 100 mA. I attached it to the power and ground part of a small 12v relay I bought from radio shack. I then took a 9v battery connector and a piezeo alarm and put it on the connectors of the relay that if there is no power to the relay – will allow current to flow. The way you find that is to put the red wire of the connector to the relay, and one of the leads from the alarm to the opposite side of the relay. Connect the black wire and the other alarm wire together. The idea is that soldiers don’t have much time to search each home. They have to keep moving onto the next house. Once they leave and the power goes back on – DON’T CHANGE ANYTHING. If the bathroom light was on, leave it on. The smart meters will detect and record ANY changes and it will alert someone that there are people within the home! This is definitely not the time to make your presence known. Any and all activities you perform will need to be quiet and within the home. This is probably a good time to learn how to meditate, spending time drawing or writing and any other quiet activities to keep yourself calm and occupied. If you go out at night, take a night vision capable video camera. Put black platic around the IR lamp that is usually beneath the camera’s lens. This will prevent the drone from seeing the IR light, but you’ll be able to see the IR lights on the drone in the dark. If you feel froggy, shoot down the drone AS IT LEAVES! The flight will be level and of constant speed, enough for you to get a bead on it. It’s difficult to tell where the shot came from, and you’ll get some satisfaction of taking one down. These thing are expensive and if they have to redirect one away from another area, that means someone else is getting a break. Satellites may detect heat from fireplaces,or even exhaust from your gas powered or electric stove if your utilities have been turned back on, so use the covert cooking methods like solar cooking, Hay Box cooking or Creveche. Because of this, cooking over an open fire in your yard will not be a possibility. If you can, light a match in the sewers to eliminate any flammable gasses, and cook down there. The streets should hide the heat signature well enough, especially in the day. Solar cooking using the back of a pickup may be a good decision as it may imitate the accumulated heat of a canopy. But it’s your decision. No one else makes it for you, and that’s why it’s called FREEDOM. 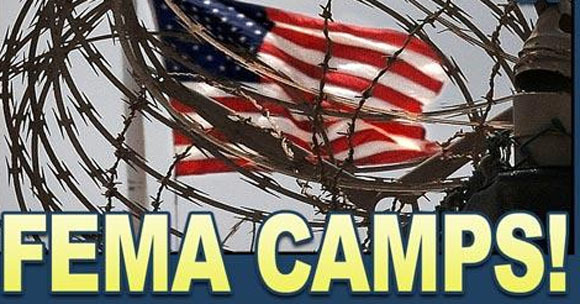 Next PostCould You Survive Being Sent To A FEMA Camp? You idiots. Prayer is our most powerful weapon. To imply that the only way to survive is the follow some well thought out plan of man, than you are already lost and damaging the faith of many. I believe there will be a reckoning for that kind of behavior. Instead of helping people to reach and hear and understand what God may be telling them to do, you, a mere man, assume that you have the answer that everyone needs to hear. But wow what an answer. You tell them that there “meditation” is useless and won’t help them, and to listen to you, their savior. I am sure you will keep them all safe. What? You didn’t say you would keep them all safe? Jesus did, and is capable of doing it. Remember damaging the faith of others is extremely serious in the Lords eyes. I would repent of your dishonesty and sensationalism if I were you.